Working with a trustworthy registrar with an established track record of professional and ethical customer service is the key factor in avoiding inappropriate marketing strategies. In view of inappropriate marketing strategies used sometimes by domain names providers, it is highly advisable for companies and organizations to carefully consider which domain names would be essential for their business, and then register these via a trustworthy registrar. Is it required to register every domain suffix available? Domain suffixes, also called top level domains, are short codes at the end of a domain name that have been divided into various categories. Such categories include country codes, such as .FI, .FR, .SE and .DE, along with generic domain codes, such as .COM, .EDU, .ORG and .NET. Domain names form addresses for the most significant services of the internet which are mostly website and e-mail addresses. Domain names worldwide are regulated, and the great majority of top level domains is subject to individual register, policy and legislation. The cases of misuse are handled within the guidelines of the register in question. The complete control of hundreds of domain suffixes is almost impossible. It is not considered expedient to register every available domain suffix in order to “safeguard” a trade mark or a company name. Rather, companies and organizations are advised to evaluate which domain names should be registered as crucial for the business. It is also important to register a domain name with a reliable registrar such as Web Solutions, a trusted and experienced leader in global domain names registration. The Finnish domain names with the suffix .FI are administered by the Finnish Authority. Fi-domain names are recognized worldwide as both Finnish and reliable. An internet address ending with a .FI suffix most likely refers to a Finnish company, person or service. Furthermore, Fi-domain names are considered trustworthy also because the Finnish Domain Name Act serves as a protection from malpractice for registered company names and trademarks. In the past years, numerous Finnish domain name holders have complained about companies which try to sell them domain names, especially with suffixes .COM, .NET, .ORG and .EU. The customer is usually informed by the company marketing domain names that the domain name now being offered to the customer is going to be registered by another party. Furthermore, the customer is led to believe that quick decisions need to be made as there might be a chance of registering the domain name to himself or herself. Some marketing techniques are often experienced as importunate or downright misleading, particularly when the caller gives an impression of him or her representing an authority. By purchasing domain names from organizations that use inappropriate marketing techniques the phenomenon is being reinforced. 1) As a preventive measure, entrepreneurs and organizations are encouraged to consider all the domain names that are vital for the business and customers in advance. The possibility of becoming the target of inappropriate marketing in the future can be eliminated or greatly reduced by registering these domain names for one’s company or organization. 2) Time is limited to consider the actions suggested above if the call from a marketing company has already been received. If the domain names in question are essential for the company or the organization., registering them through another (trusted) registrar – immediately after receiving the call – may be worth a try. 3) If the company or organization targeted by marketing does not acquire the offered domain name, and the domain name is then registered for an external party, it is recommended the target company or organization. contact our support team to learn about the dispute resolution policy and the possibility of revoking the registered domain name. The Finnish domain name authority is not authorized to intervene in the registrations or marketing of domain names other than .FI, for example domain names ending with .NET, .COM or .EU. 4) In case of doubts about the legitimacy of the marketing techniques used, or suspicions of fraud or extortion, the target of marketing is advised to contact the Police. 5) Inappropriate marketing of FI-domain names or attempts of selling domain names by telephone should be reported to Web Solutions support team. At Web Solutions, it is our utmost priority to guarantee our customers reliability and high quality service. Being a leader in the domain name market comes with an established track record and over 14 years of experience. 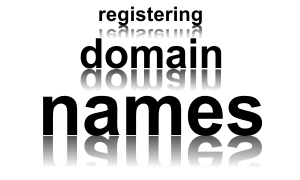 Web Solutions’ trusted team of experts offers reliable and knowledgeable assistance in domain name registration worldwide. In addition, our Trustee service makes domain registration possible even in territories that require local presence, such as in Finland. Contact us for more information on domain registration.